Private residence, New York City. 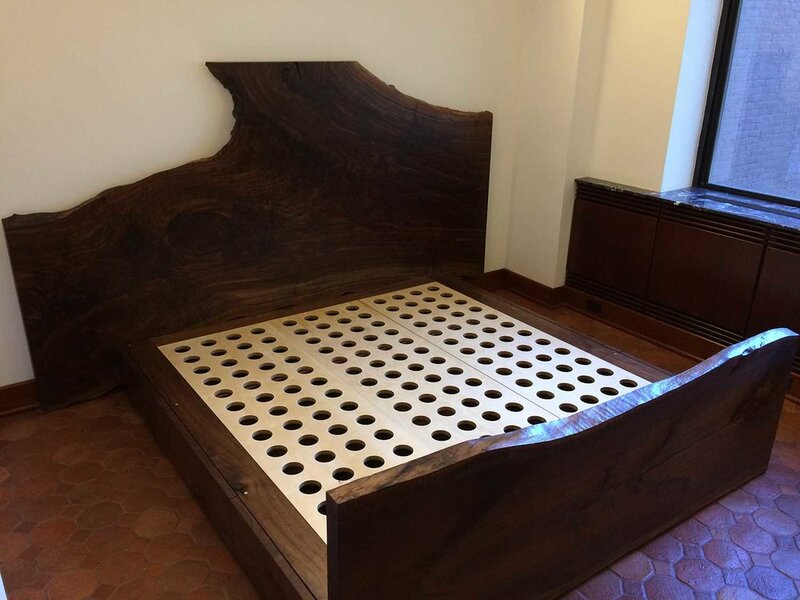 A king sized bed with six drawers. 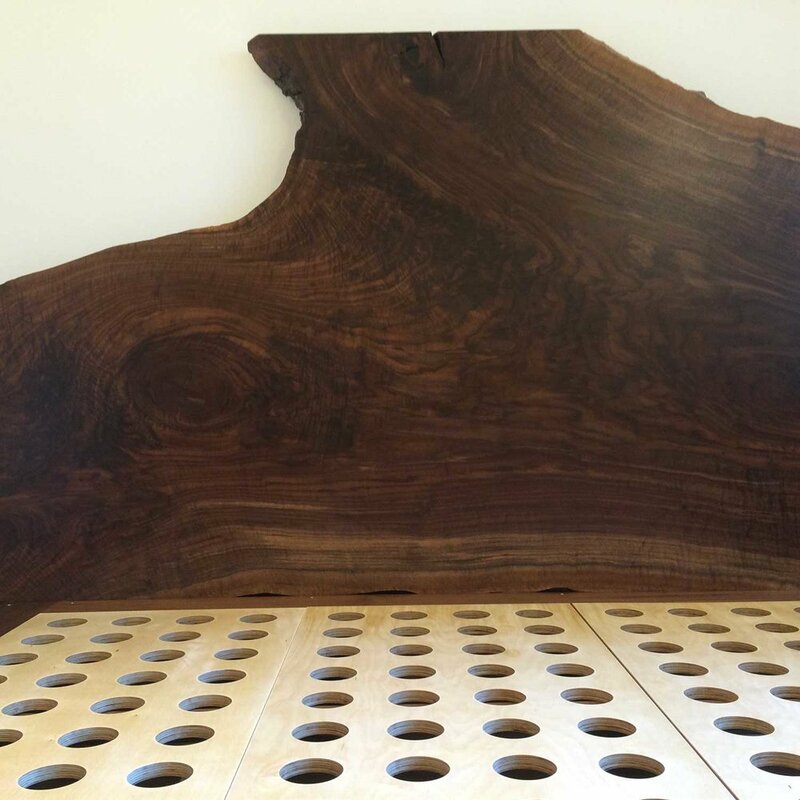 Headboard from a mesmerizing single slab of Claro Walnut from California. Collaboration with Charles K. Burleigh Design.